So this is what being pregnant or nursing for a few years in a row does to your brain…. 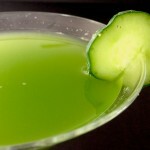 How can I write a post about cocktail parties without sharing some favorite cocktails? Oh, and I do have some favorites. 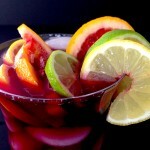 There are the traditional ones, like margaritas and sangria, which, when made well, can be an amazing complement to your festivities. And then some more unusual ones, like a martini called a Flirtini or Sardinian iced tea or a cucumber lychee martini or French kiss martini. I find myself s erving fun cocktails at summer parties and red wine at winter parties. For some reason it never occurs to me to make a wintery drink at winter cocktail parties… with one exception. The chocolate raspberry martini, which seems so innocent, but watch out and use small glasses or you may end up on the floor by your second one! I am pregnant now, so as I mix these drinks to take some lovely photos for you, my husband Steven is the lucky recipient of many fine drinks and he hopefully won’t be cursing his demise tomorrow morning. My recommendation for your next gathering- choose only one or 2 pre made drinks to serve and make a whole pitcher or 2 of each. 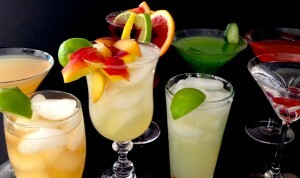 All of these drinks benefit from being shaken or mixed just before serving. So what I generally do is mix a batch in some sort of half-gallon or gallon jug with a lid. Put the whole thing in an ice bucket and when guests come, have them watch you serve / make their first one (“here you go, take a glass here, put in your garnish here, shake this up and pour it in”). Then they know how to go back and get another on their own, and when you have at least 10- 20 people milling around and all needing their drinks refilled at different times, this is a big benefit. When I have attempted to make more than 2 types of pre-mixed drinks for a gathering, I end up with something left over (I can never predict which one it will be) and therefore a lot of wasted booze, and I am cheap and hate wasting anything. With all of these drinks, once you make a batch, TASTE IT, and then adjust if necessary so that you think it is delicious! 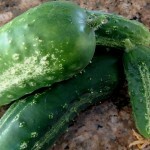 With or without salt – your choice! I love margaritas, especially with some salt on the rim of the glass and poured over ice / on the rocks. For something a little more fun, you can make Blood Orange Margaritas by replacing part of the lemon-lime juice mix with juice from a blood orange. The results are slightly more sweet, BEAUTIFUL, and delicious. Mix and pour over ice (better for big parties) or blend until frozen (only works for very small parties, unless you have a caterer / server and maybe even multiple blenders). 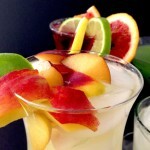 Both red and white sangria are lovely, and they complement different fruit. 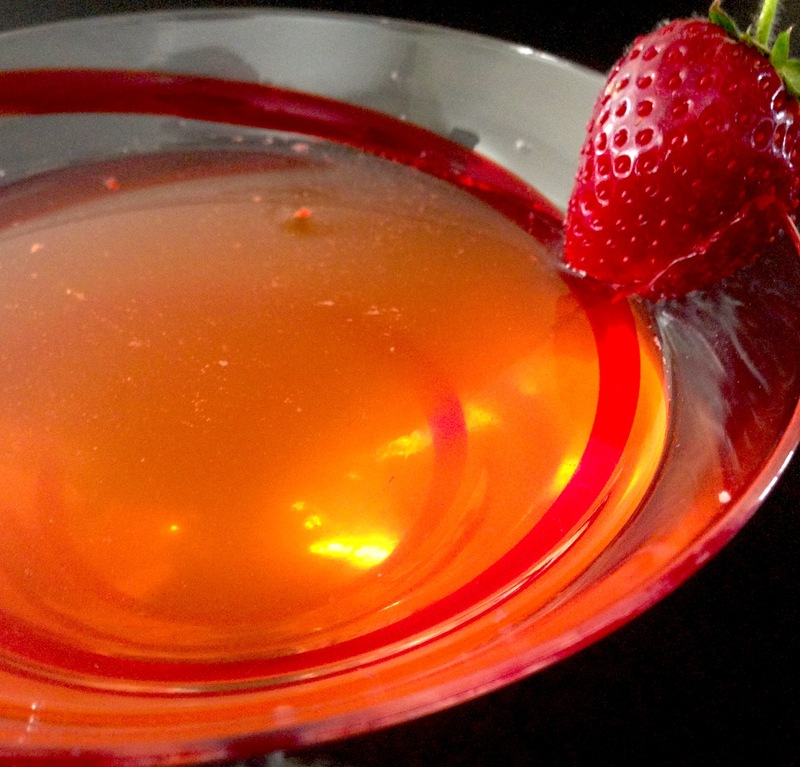 Red – a bottle of red wine, 1/3 cup triple sec, 1-2 Tablespoons agave syrup, citrus or other fruit (about 2-3 whole fruit, cut into slices for garnish, any juice and carbonation to equal 3-4 cups (I like a can each of Limonata and Aranciata as an option, blueberry pomegranate and orange or pineapple juice with club soda as another, and lots of others. 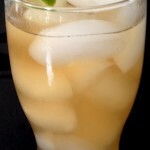 White – a bottle of white wine, 1/3 cup triple sec, 1-2 Tablespoons agave syrup, stone fruit (about 2-3 whole fruit, cut into slices – like a peach and a plum),3-4 cups clear-type juice and carbonation (they make this white grape juice infused with things like peach that works really well with some club soda, I also like a can each of Limonata and Aranciata as an option, and many others. Mix gently and serve over ice. 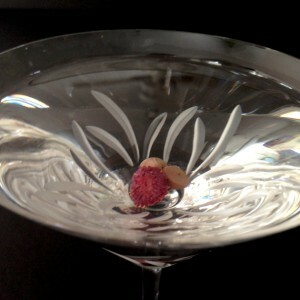 Garnish: the fruit that you cut up above… at least 3-4 pieces per glass. This has been BY FAR the most requested drink at any of my gatherings… And don’t be fooled by the girlie name, as many men seem to love it as women! 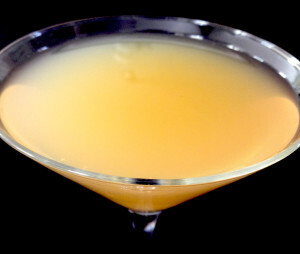 Shake together over ice and strain into a martini glass. This drink has been adapted from the drink of the same name at Otto, which is an amazing restaurant owned in part by Mario Batali, who I just love. Also I should tell you, on hot Summer days, we really enjoy this one mixed 50% cocktail, 50% actual iced tea. 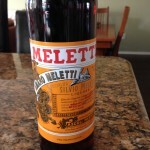 It is super refreshing and not too strong for being out in the sun. Mix and pour over ice or blend until frozen. 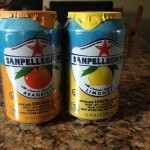 This is a refreshing summer drink that is not too sweet. If you are not a fan of the fruity pink drinks as much, this might be the option for you. Shake together over ice and strain into a martini glass. This one separates easily so make sure it is in something you can shake. Also, if you prefer gin, it is a fine replacement for vodka in this recipe. Shake together over ice and strain. Simple Syrup: Mix approximately equal parts sugar and water (use a little more water than sugar to make it easier) in a Pyrex-type glass measuring cup and microwave on high until sugar dissolves (stirring occasionally). If it is really hot and the sugar is not dissolving, add a little more water. Chill. (this is a nice thing to have on hand in the fridge, not to mention it is fun to infuse this simple syrup with other flavors like fresh ginger or rosemary to make even more interesting drinks). I typically pour about 2 ½ – 3 cups of sugar into a 4 cup measuring cup and then fill it to the 4-cup+ line with water. It usually takes about 4-5 minutes in the microwave to dissolve the sugar. 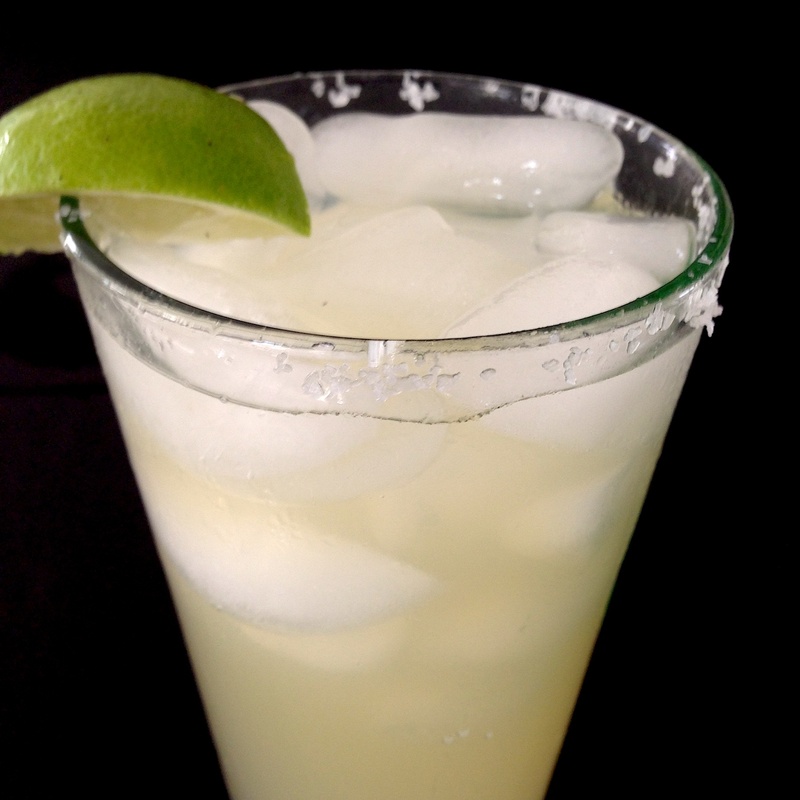 To make your lemon-lime juice mix, which is basically a bartender’s best friend, “Sour Mix”, but so much better because it is homemade; mix 2 parts lemon juice, 2 parts lime juice, 1 part simple syrup , and 1 part water. Taste it. Add up to 1 more part of simple syrup if you like it sweeter, and adjust any other part of it to make it take delicious to you, and happy drink mixing! You are the bomb! Thanks so much. Family is at parents lake house this weekend we wanted to make sangria! Perfect timing, but wish I could enjoy anyone of these at one of your soiréea with you! mе. Is anyone else having this issue or is it a problem on my end? I’ll check back later and see if the problеm still exists.